I have been making many photographs of my pets recently probably largely because I have been waiting till the very last minute to get my photos for the day. I do like this one though especially the way she is looking out from under my leg and arm. 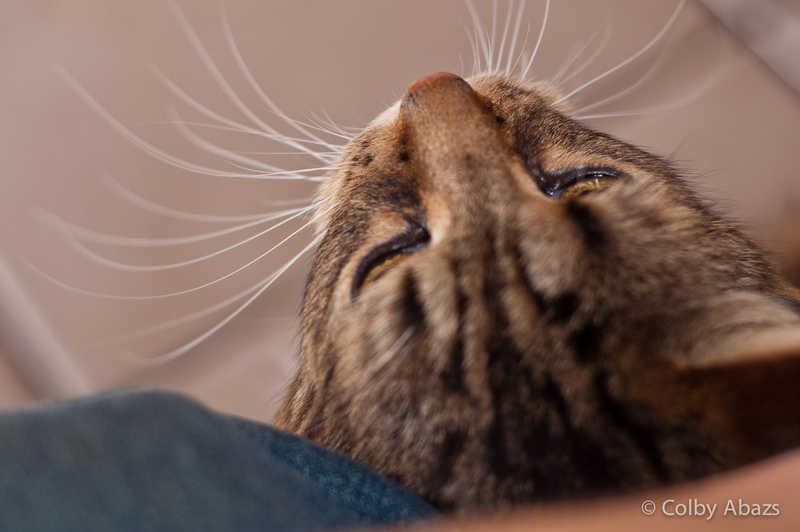 I was trying to photograph the cat but she wouldn't stop coming closer to me for petting. I ended up having to block her with my knee and arm and stretch up until I could focus properly.